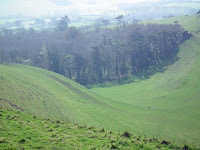 A bad witch's blog: Ancient Sounds: What's Hidden in The Hills in Dorset? Ancient Sounds: What's Hidden in The Hills in Dorset? For nearly five millennia, from the Neolithic through the Bronze Age to the beginnings of the Iron Age, from 4,000 years before the birth of Christ to 800 years after, the people of this island created landscapes of massive earthworks, timber and stone. Along what is now known as the South Dorset Ridgeway, a ‘Ritual Landscape’ or ‘Grand Necropolis’ contains more than 500 barrows, henges and causeways in an area between West Bexington in the West to Osmington in the East. What histories, what stories would these stones, and ancient barrows tell us if they could talk? What legends, fairy tales, local myths and oral histories have been woven into and around the landscape? What natural and created sounds can be heard high on the skyline underground, along footpaths, ancient tracks, and whispering woodlands? 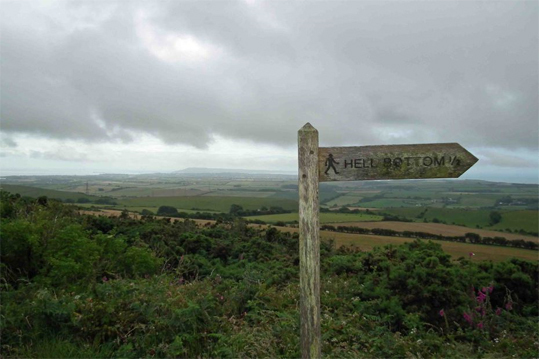 In a ground-breaking new project in partnership with the South Dorset Landscape Partnership known as The Land of Bone and Stone ( lead by the Dorset AONB,) an App has been developed which allows you to experience this universe for yourself! 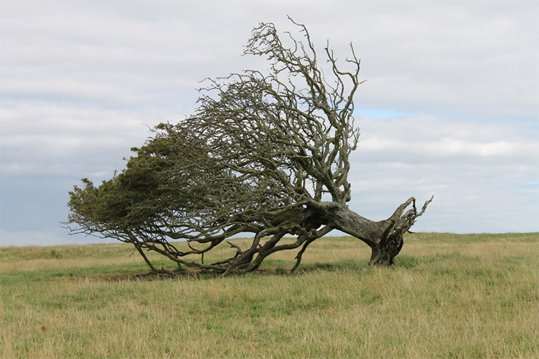 SATSYMPH have laid out a series of sound-pools in 7 evocative locations along the rolling South Dorset Ridgeway. Access the sound-pools by downloading an app onto your smartphone, plus background maps online, and head out to any of the 7 locations. Once there, open the app, plug your headphones in and wander. Your smartphone automatically senses the sound-hotspots through GPS and opens out the sound experience. James Sharpe, South Dorset Ridgeway landscape partnership manager, said: "We are delighted to have brought together such a unique project. We feel it takes the user through a one-off experience that pulls together heritage, culture and archaeology that brings the landscape alive in a completely different way. It's not a walking trail but an almost theatrical experience. Engaging the community, folklore and oral tradition of the area and the vibrant history of the Ridgeway, all set before time, deeply hidden in the hills." The audio-app uses your phone’s GPS and will only play in the given locations: at and around the Grey Mare and her Colts Neolithic long barrow, White Hill Plantation area, Chapel Coppice above Abbotsbury; at and around the Hardy Monument and Bronkham Barrows; Kingston-Russell stone circle; and Culliford Tree Barrow. You have to go there to hear it, you can’t hear it anywhere else! No need for a phone signal though, – the audio-app uses your phone’s GPS! Land Bone Stone Apps 1-3 can be downloaded from: http://satsymph.co.uk/projects-and-events/interpretation/southdorsetridgeway with links to Google Play and App Store etc.